Hiro (Kyoto, Japan) on 29 May 2018 in Plant & Nature. I try not to use the word 'breathtaking' . . but it sure fits here ! @Ronnie 2¢: Thanks for taking your breath ! An astonishint perspective! Well done! Encore une merveille quelle vue et fuyante vers le haut quels arbres grandiose. Another beautiful capture!! I like this color version which adds nice depth with the greens and blues. You found so many creative and powerful shooting angles, Hiro. What a fine series ! 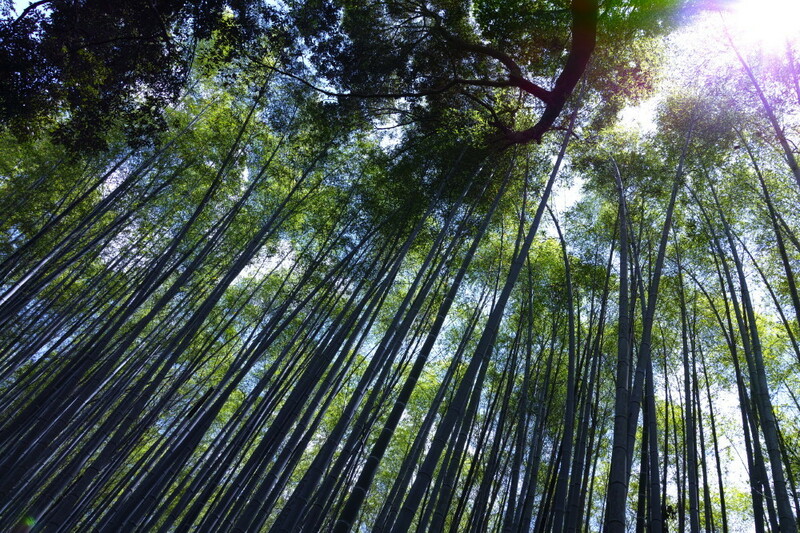 A wonderful capture of the light thru the bamboo forest. an amazing shot !! Simply fantastic ! A series of magnificent bamboo images... great shot! This is just gorgeous with the light coming through the trees. A wonderful series! A beautiful composition! Lovely serie. I don't know wich is mos beautiful!! A beautiful presentation of the bamboo forest. Love it. Spectaculaire ! Je me demande quelle est la taille de ces bambous ! ? @yo: around 20m ? I don't know. bamboo, bamboo, bamboo, bamboo, bamboo, ... am I counting the stalks or the photos? Excellent photo, very nice series.